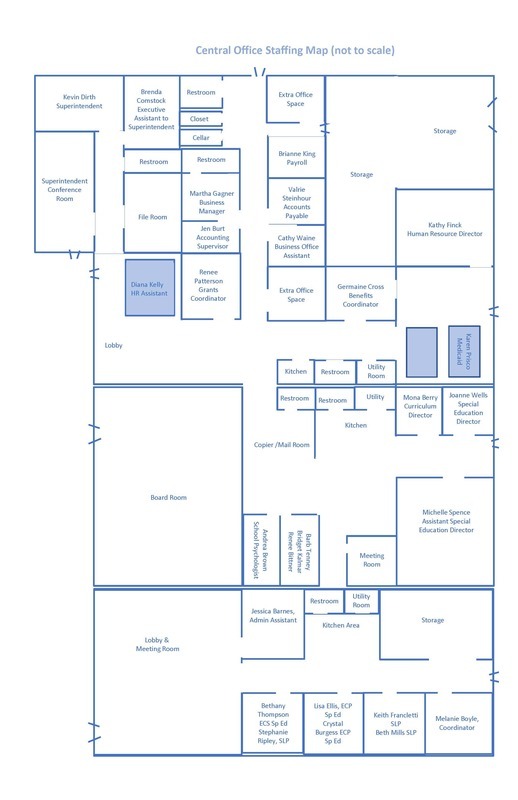 Central Office has created a “map” of the office showing where staff is located, along with a chart of duties indicating who to go to for those areas people most often seek answers. This project started out as a way to help orient the three new staff joining Central Office. Making it more useful for everyone in the district made sense. So, to figure out who to call on in specific areas, central office staff added those areas that they believe people most often look for. The “maps” are posted in the staff section of the district website, and in the employee portal. 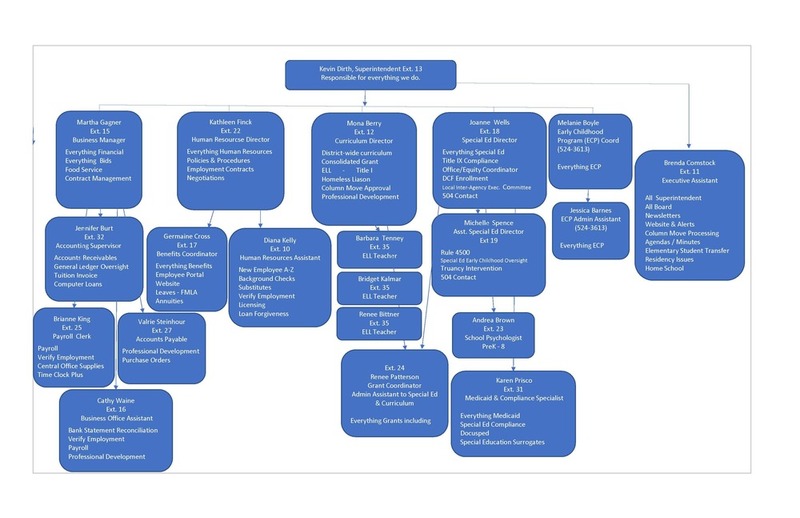 Here are links to the documents: Staff Map and Chart of Duties. These are living documents and are adjusted as changes are made. There will be an update when the new phone system is installed reflecting changes in extensions.